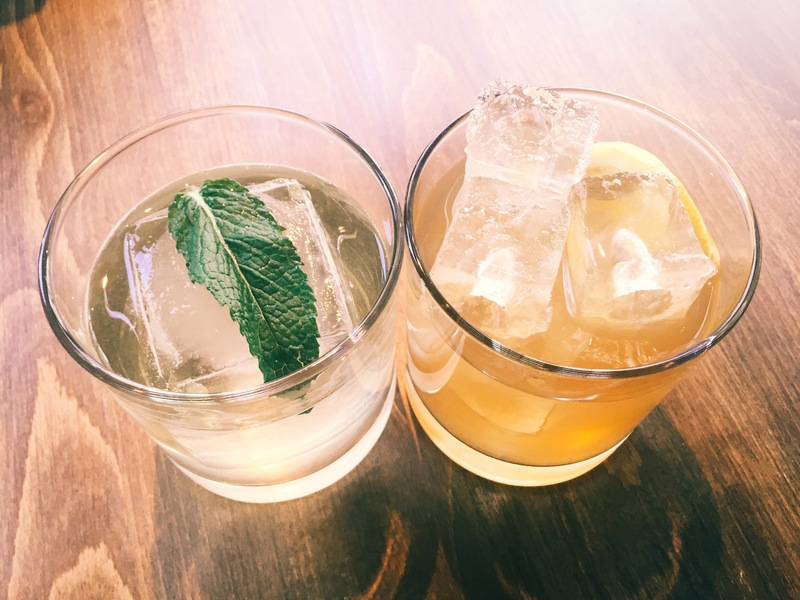 If you’ve been following us for long, you know that one of our biggest delights at moving from Boston to DC was discovering the Happy Hour, and that one of our ongoing quests is to find a good happy hour for cocktail drinkers. I think we’ve done it. Most happy hours focus only on beer and wine. Some offer rail drinks, which we’re not interested in. Some do margaritas, which isn’t bad. Provision 14 offers genuine, interesting cocktails at theirs; that’s what we’ve been looking for. Provision 14 seems to specialize in inventive ways to serve their cocktails. You can order alcoholic slushes. Many of their cocktails come in a French press, in batches of four (we’re definitely considering stealing that idea). 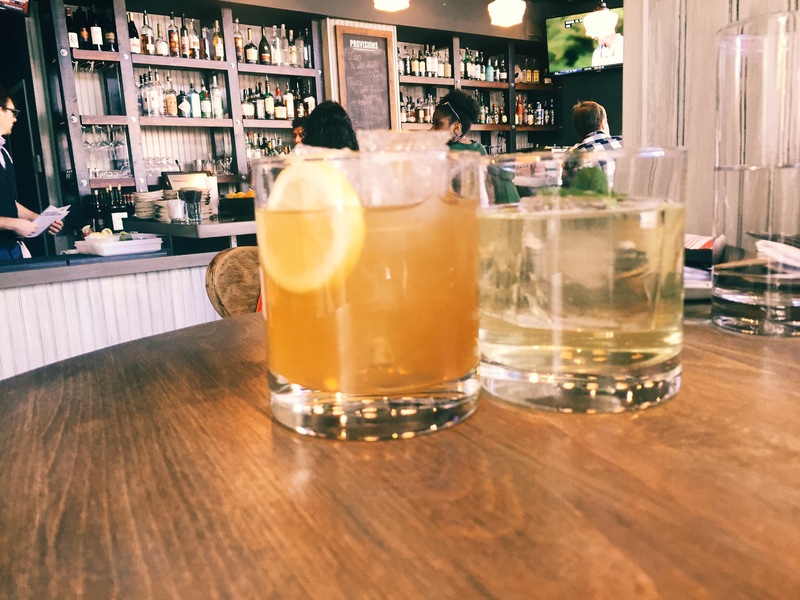 They have three cocktails on tap; these are the happy hour cocktails. And then there’s a more conventional signature menu, serving cocktails in the expected glassware in single servings. Their signature menu was decently sized and interesting looking–just not interesting enough to lure us away from the $6 price for the happy hour draft cocktails. Both drinks came on the rocks (with different ices) in old fashioned glasses; that’s probably the only way to get the right amount of water and chill to cocktails from a tap. They were also both quite good. The Happy Gilmore was very sweet, but more interesting than very sweet vodka drinks usually are. The demerara sugar brought a nice little molasses-like tinge to the sweetness, and the mint tea had just a hint of spiciness. While we were more than pleased with the Happy Gilmore for a happy hour offering, the Whiskey Punch nonetheless outstripped it by a mile. It’s a remarkable drink. With the mention of milk, you might be imagining something with a consistency along the lines of a White Russia; but it was actually clear. From what I understand clarified milk punches involve purposefully curdling the milk, and straining out the curds. That makes for the novel experience of a milky flavor and a clear consistency. It was fascinating and satisfying. The bourbon and the milk played the dominant roles in this drink, with pineapple, mint, and lemon adding pleasant grace notes. Yes, if you’re looking for a good happy hour cocktail, or want to split a French press sized cocktail with three friends.